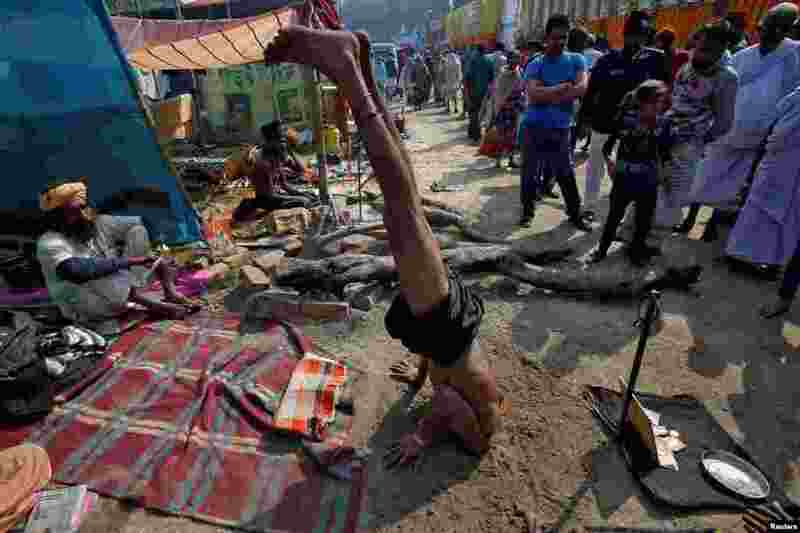 ١ A Sadhu or a Hindu holy man performs to receive money from pilgrims at a makeshift shelter in Kolkata, India. 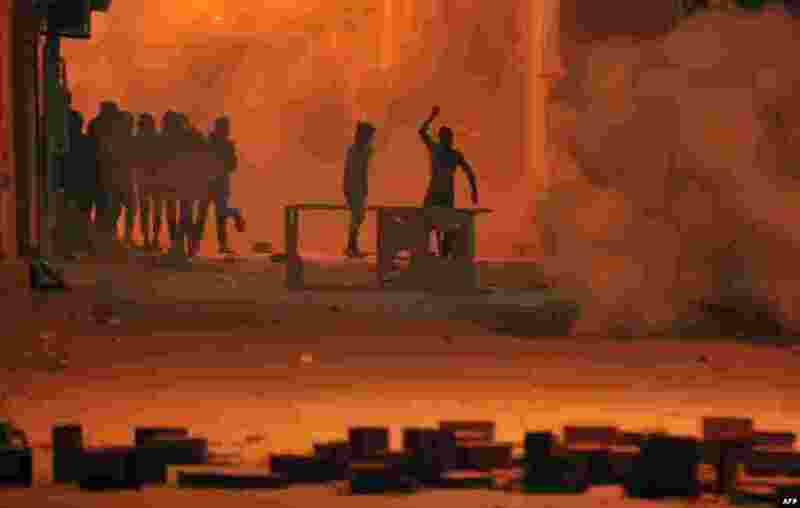 ٢ Tunisian protesters throw stones towards security forces in Tunis' Djebel Lahmer district after price hikes ignited protests in the North African country. ٣ Reuters journalist Wa Lone arrives at the court in Yangon, Myanmar. 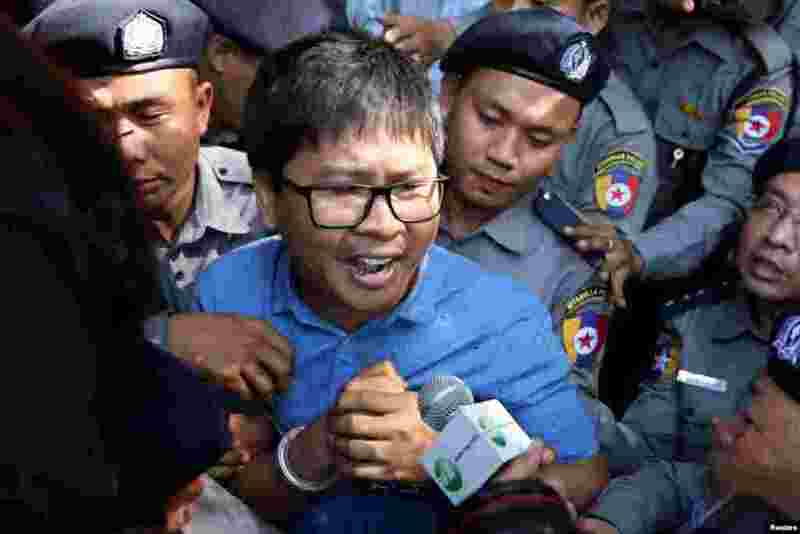 Wa Lone and another Reuters journalist Kyaw Soe Oo were formally charged with violating the country's Official Secrets Act almost one month after they were allegedly given classified documents by two policemen over dinner. ٤ Chit Su Win, wife of detained Reuters journalist Kyaw Soe Oo, cries with her daughter outside the court in Yangon, Myanmar.